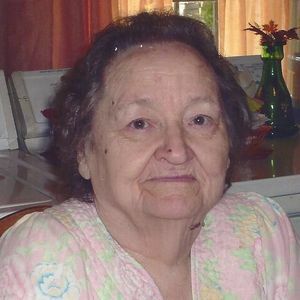 LOUISVILLE – Evelyn Mayes, 87, of Louisville, KY, died Saturday, June 21, 2014 at her residence. Mrs. Mayes was born on August 23, 1926 in Cleaton, KY was a supervisor at Stouffers, and a member of the Lyndon Lane Baptist Church in Lyndon, KY. She is preceded in death by her husband, Carl Mayes. Survivors include her daughters, Sandra English of Nebo, Brenda Shoptaw of Leitchfield, Carol Bratcher of Madisonville, Janet Henley and Carol Mayes both of Louisville, her sons, Jerry Mayes of Leitchfield, Jim Mayes of Palmyra, IN., Michael Mayes of Nebo, Jimmy Mayes and Darrell Mayes both of Louisville, twenty nine grandchildren, sixty three great grandchildren and thirty eight great great grandchildren, a brother, Paul Rager of Scottsdale, AZ, and two sisters, Louise Buchanan of Beechmont and Lucille Jernigan of Greenville. 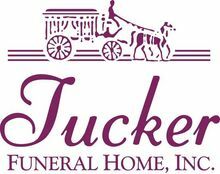 Funeral services will be held at 1:00 PM, Wednesday, June 25, 2014 at Tucker Funeral Home in Central City conducted by Bro. Kendel Skaggs with burial to follow in the Ebenezer Cemetery in Drakesboro. Visitation will be Tuesday after 5:00 PM and Wednesday after 8:00 AM at the funeral home. The beautiful and interactive Eternal Tribute tells Evelyn 's life story the way it deserves to be told in words, pictures and video. Best Mammie ever! Our angel has went to Heaven. We love you Mammie. Dave & I are so very sorry for the loss of you re mom , you remain in our prayers .